Periodontology is a specialty of dentistry that specializes in the supporting structures of the teeth, including the conditions and diseases that affect them. The supporting tissues around the teeth are known as the periodontium and include the gums (gingiva), alveolar bone, cementum and the periodontal ligament. Our team of dentists in Romania is ready to provide a complete dental treatment plan if you are suffering from any periodontal diseases. Periodontal diseases affect one or more of the periodontal tissues, like the alveolar bone, the periodontal ligament, the cementum and the gingiva. The most common types of periodontal diseases are gingivitis and periodontitis. Gingivitis is the inflammation of the gum and it usually precedes periodontitis, the gum disease. Some studies indicate that periodontitis is always preceded by gingivitis. However, with the help of a comprehensive treatment plan and prevention techniques, in some patients gingivitis may never progress to periodontitis. In the case of periodontitis, the inner layer of the gum and bone begin to pull away from the teeth and form pockets collecting bacteria and debris. If the infection is left untreated it can cause irreparable damage to the tooth and even lead to its loss. Although the first stages of gum disease can be painless, you should contact our dentists if you have one of these symptoms. We can help you with a thorough examination and decide what treatment plan is best for your needs. 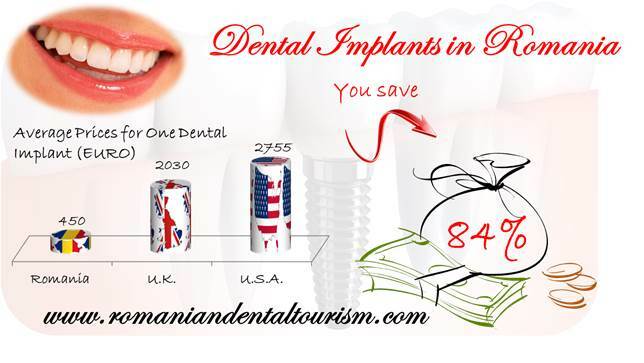 We can also help you plan your trip if you are interested in a dental travel to Romania. The first step for treating periodontal diseases is to remove the bacteria, tartar or biofilm deposits. One of our dentists will begin by treating the swelling, reducing the depth of the pockets between the teeth and the gums and treat the infection. Depending on the severity of the disease, treatments can be surgical or nonsurgical. Nonsurgical procedures include professional dental cleaning or scaling and root planning. Surgical treatments include pocket reduction surgery, bone and/or soft tissue grafts and even bone surgery. The goal of a treatment for periodontal disease is to reattach the healthy gums to the teeth. Our dentists in Romania can help you prevent dental problems and can offer you solutions for various problems. 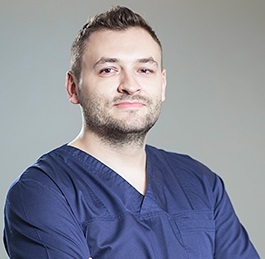 Please contact our team of dentists for a detailed list of our dentistry services in Romania.